Joseph Barringhaus is the Sports Photo Editor for The Sunflower. 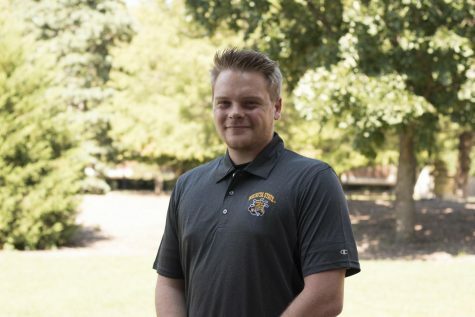 Joseph is a senior at Wichita State majoring in marketing with a minor in communications. He was born in Michigan but quickly moved to Grapevine, TX. After graduation, Joseph attended a junior college, did a year of missionary work, and eventually ended up at Wichita State. Joseph’s love for sports is seen in his style of photography. If you’re at a sporting event at Wichita State, odds are you’ll see him glued to his camera ready for the next shot. Joseph plans to work for his home church in Texas and continue to work in sports photography after graduation.